Both the 14TB IronWolf and IronWolf Pro models feature Seagate’s AgileArray technology, which optimizes the HDDs for multi-drive storage systems. Both models also offer up to 256MB cache, but the IronWolf Pro has a longer mean time between failures (MTBF) of 1.2 million hours versus the IronWolf’s 1 million hours. 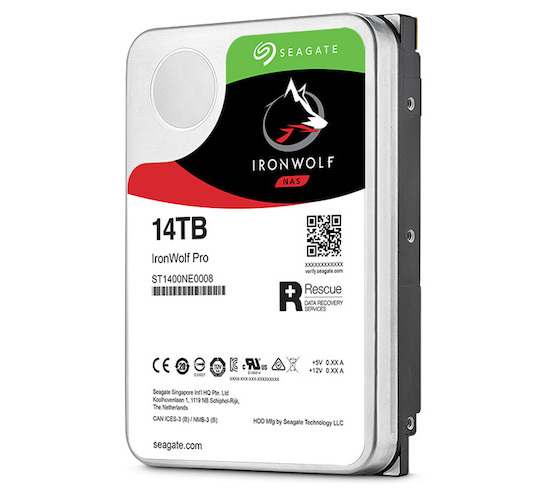 Seagate’s IronWolf product page doesn’t currently include the 14TB model in its retailer availability search, but Tom’s Hardware reports that the 14TB IronWolf costs $530 USD and the 14TB IronWolf Pro costs $600 USD.